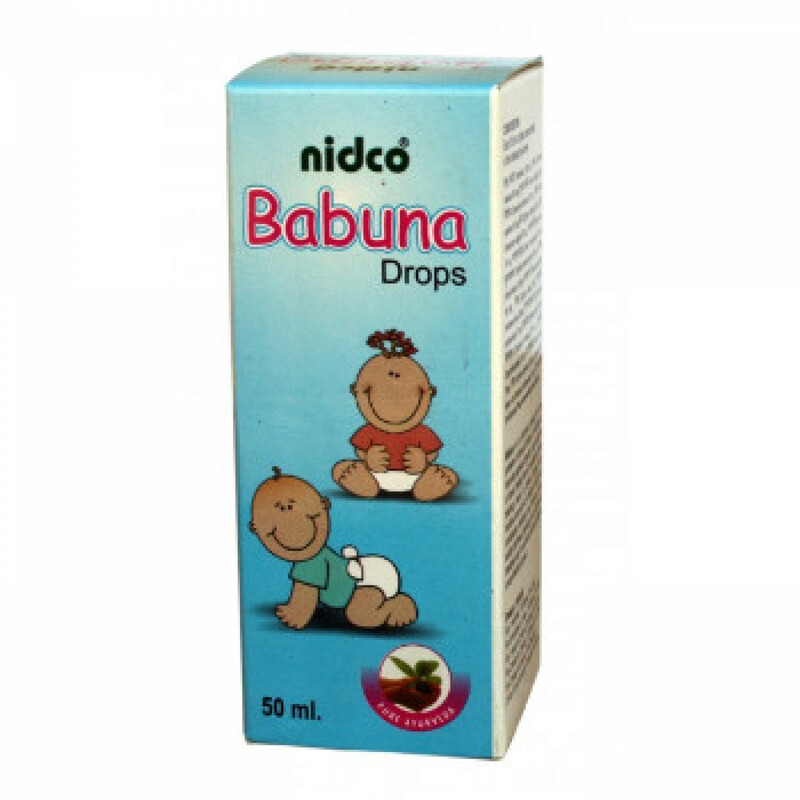 Babuna is a medicine to solve many of the problems that parents of infants face. The Babuna improves appetite, digestion and facilitates the evacuation of the stool. Additionally, this medicine can help with colic, diarrhea in infants, vomiting of clotted milk, etc. 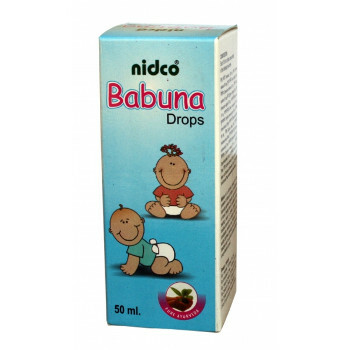 Babuna is also effective in fever and during teething. Content: extacts from Terminalia chebula, Rosa centifolia, Operculina turpethum, Carum copticum, Zingiber officinale, Foeniculum vulgare, Rheum emodi, Butea monosperma, Aconitum heterophyllum, Cassia fistula, Cassia angustifolia, Curcuma longa, Helicteres isora, Hollarhaina antidysentrica, Embelia ribes, Terminalia belerica, Glycyrhiza gelebra, Solanum nigrum, Cuminum cyminum, Sodii biboros. - 3 years - 5 years: one teaspoon.